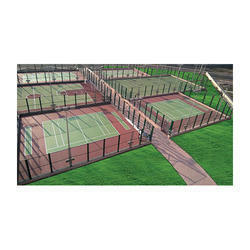 We are offering a wide range of Multipurpose Outdoor Sports Flooring. Justifying our reputation in this market, we are readily immersed in the arena of offering to our patrons a broad consignment of Multipurpose Outdoor Sports Flooring. Looking for “Multipurpose Outdoor Sports Flooring”?